The Revolution portfolio management team founded the business and takes personal ownership of its investment management responsibilities. They have worked alongside one another over many years and are committed to providing successful outcomes to investors. Combining more than 55 years of experience, they have a strong track record of investing in Australian private debt. Bob is one of the co-founders of Revolution. He is responsible for leading the strategy and managing the assets of the portfolio. Bob has held senior roles as Head of Direct Lending at Kapstream Capital and Head of Fixed Income at Challenger Limited from 2005 to 2016. He has led an investment team of 14 managing leveraged finance/private debt, real estate debt, ABS, investment grade corporate credit and alternatives portfolios on behalf of both Challenger Life Company and pre-eminent Australian superannuation funds. During his time at Challenger, funds under management increased from A$1bn to A$9bn. 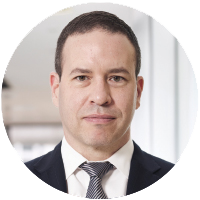 Bob has spent his career managing private debt, serving as portfolio manager and credit analyst at major institutions such as PIMCO and AMP Capital. Simon is one of the co-founders of Revolution and is responsible for portfolio selection and management. Simon has extensive experience as a private debt portfolio manager having spent six years with Westpac as Senior Portfolio Manager responsible for managing A$2.2bn. Simon’s credit expertise is within RMBS, Collateralised Loan Obligations, Consumer, Equipment and Transport Asset Backed Securities. In addition, he has skills in currency and interest rate hedging and asset/liability management. 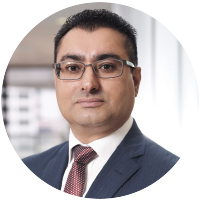 Simon has also worked alongside Bob Sahota as a Senior Portfolio Manager in Fixed Income at Challenger, and held similar roles at CBA and ANZ. David is one of the co-founders of Revolution and is responsible for portfolio selection and management. David was most recently a portfolio manager with Kapstream, responsible for credit analysis and portfolio management, covering multiple sectors including property, infrastructure, airports, diversifieds and technology, media and telecommunicactions. 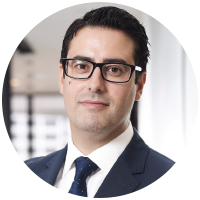 David has also worked along side Bob Sahota at Challenger, where he was responsible for the credit research and management across multiple sectors such as leveraged finance/private debt, commercial real estate debt, as well as financial institutions and corporate. Channel Capital provides Revolution with comprehensive funds management infrastructure including middle office, risk management and compliance, client services, company secretarial and finance, together with marketing and distribution services so that we can focus on delivering investment returns. * As at 15 April 2018.